Graham Brown was headed to his job as a computer technician when a drowsy big-rig driver swerved into his path and struck his car, sending it flying off a rural Illinois road and into a field. Brown was airlifted to a hospital for a six-hour surgery that saved his life. He suffered collapsed lungs, broken arms and legs, neurological damage and kidney failure, his mother, Kate Brown recalls. Hospitalized for 75 days after the May, 2005, accident, Graham Brown, now 40, has endured more than 20 surgeries and still cannot use his left hand or arm. This is a story from Fairwarning.org/. For more reporting go to its website. Yet because the small trucking company had little more than the federal minimum of $750,000 in liability insurance, Kate Brown says she and Graham’s father were forced to dip into their retirement funds and take big chunks of time off from work to help care for their son. Graham Brown eventually received a settlement of about $300,000, she says, after payment of attorney’s fees and other expenses. With continuing medical costs and permanent injuries that could reduce his earnings, he faces an uncertain financial future. 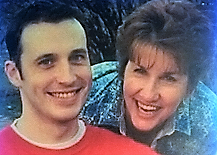 Graham Brown, shown here with his mother, Kate Brown, was severely injured in a crash with a big-rig, and has had more than 20 surgeries. Because the trucking company had little more than the federal minimum of $750,000 in liability insurance, Brown faces an uncertain financial future. The $750,000 minimum has been in place since 1983, but safety advocates who have campaigned to raise it have been stymied up to now. In their latest setback, the Trump administration in June dropped consideration of a higher minimum on grounds that it couldn’t get enough data from insurance and trucking firms to prove that the benefits would outweigh the costs. Efforts to raise the minimum previously stalled under the Obama administration, which also cited problems in collecting enough data. Each year, close to 4,000 people are killed in the U.S. in crashes involving large trucks and tens of thousands more are hurt, some suffering catastrophic injuries that leave them disabled and in need of expensive lifetime care. Yet for more than three decades, the federal minimum for truck liability insurance has remained stuck at $750,000. That amount, which must cover all victims of a crash, may be a fraction of the expenses for a single badly injured survivor. Simply adjusted for inflation, the minimum would be more than $2.2 million today. “A million dollars wouldn’t have gotten my kids out of Akron Children’s Hospital,” said Baltimore resident Ed Slattery 61, a former economic analyst for the U.S. Department of Agriculture, who quit his job to care full-time for his two sons after they were critically injured in a 2010 big-rig crash on the Ohio Turnpike that killed his wife Susan. The $750,000 minimum is a sliver of the $9.6 million value placed on a human life by the Department of Transportation when it is considering the costs and benefits of safety regulations. Except for independent truckers, who say that even a small hike in their insurance premiums could force some of them off the road, few argue that the current minimum makes sense. The Trucking Alliance, an industry group that includes such major firms as J.B. Hunt and Knight, urges truckers to maintain coverage “significantly higher than the federal minimum requirement.” Doing so is necessary “to maintain the public’s trust and cover the medical costs associated with truck crash victims,” the organization says. Even without a change in the government mandate, the private sector has moved the bar slightly on its own. 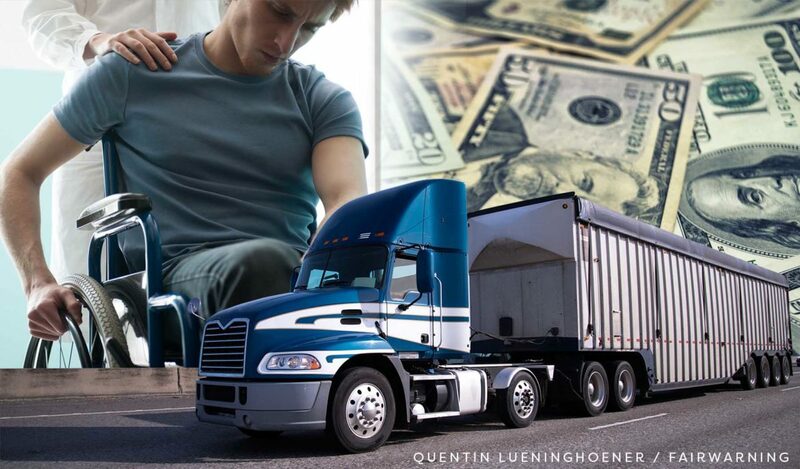 A survey by the American Trucking Associations showed that eight of 10 truckers maintain $1-million of liability insurance to meet requirements imposed by private brokers and shipping companies. Consumer advocate Joan Claybrook faulted both the Trump and Obama administrations for failing to raise minimum liability coverage for trucking firms. In 2013, a bill to raise the minimum to more than $4 million was introduced by Rep. Matt Cartwright, D-Pa., but got no traction. A year later, the Federal Motor Carrier Safety Administration, or FMCSA, the branch of the Department of Transportation that regulates interstate trucking, announced it would consider raising the minimum and requested public comment. 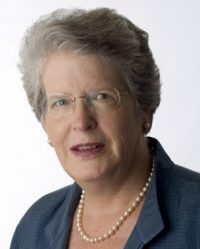 Consumer advocate Joan Claybrook, the former head of the National Highway Traffic Safety Administration, called such reasoning ”ridiculous” and also condemned the Obama Administration’s failure to take action when it had the chance. She said that during Obama’s second term, officials of the motor carrier safety agency dragged their feet, also citing lack of enough data to justify an increase. Safety advocates said they hope the issue isn’t dead, and that they may again seek help from Congress. Jackie Novak, of Hendersonville, North Carolina, who lost her only son, Charles, 22, in a crash with a tractor trailer in 2010, says she has little hope of action by the Trump administration. The crash that took her son’s life also killed four others and injured more than a dozen. A $1 million liability policy was ultimately divided between survivors and next of kin. The family of Charles Novak, who had a two-year old son, got just over $100,000, Jackie Novak said. “I ask this question of every lawmaker that I’ve spoken to in Washington,” Novak told FairWarning. ” ‘Has your car insurance gone up in the last 34 years?’ Did anyone call to ask: ‘Are we going to put you out of business if we raise the insurance?’ No, they just do it. 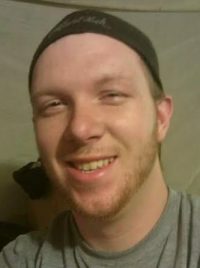 Charles Novak, a 22-year-old father, was killed along with four others in a crash with a tractor-trailer in 2010. The most vociferous opposition to an increase has come from the Owner-Operator Independent Drivers Association, which claims 158,000 members and has spent more than $2.3 million lobbying in Washington since the start of 2015, according to the Center for Responsive Politics. In considering an upgrade, the motor carrier agency reviewed several analyses showing that claims in severe accidents far exceed the liability minimum. The Trucking Alliance, for example, reported that more than 40 percent of injury claims against its members exceeded $750,000. The American Trucking Associations, on the other hand, submitted a study of 85,000 crashes that found the average loss per crash was $11,229. But safety advocates say insurance minimums aren’t meant to cover average accidents, but truly serious ones. “It’s bad enough when a family experiences a tragedy in losing someone or having loved ones severely injured,” said John Lannen, executive director of the Truck Safety Coalition, an advocacy group. “It’s like salt on a wound when then you find out the company that caused this damage cannot compensate the family whether it be for medical bills, lost income or whatever. “What happens, sadly, is these people suffer again because now they’re put in a situation where they have to rely on taxpayers, whether it be through Medicare, Medicaid, welfare, whatever it is,” Lannen added in an interview. In the Ohio crash that killed Ed Slattery’s wife, the fact that the truck was owned by Estes Express Lines, a big firm with deep pockets, has made all the difference in his ability to provide lifetime care for his wheelchair-bound, brain-injured son Mathew, now 19, and a second son, Peter, who suffered less debilitating injuries. Estes agreed to a settlement of more than $40-million, aimed at providing round-the-clock aid to Matthew in a new and specially equipped house. Even so, he said, Matthew’s life will never be close to normal. This story was reported by FairWarning, a nonprofit news organization based in Pasadena, Calif., that focuses on public health, consumer and environmental issues. Read the original story here. It was sometime around 4 a.m. on a cool spring morning when James McGilvray lost control of his semi, careening into a ravine off Interstate 49 in Harrisonville, Missouri. His trailer, which carried between 80 and 100 cattle, according to police records, flipped on its side as the truck plowed to a halt. The crash killed roughly half the livestock onboard, with the other half escaping onto the highway where state and city law enforcement spent the next four hours shutting down traffic in order to corral the remaining herd.